Herodotus, Histories, A. D. Godley (translator), Cambridge: Harvard University Press (1920). ISBN 978-0-674-99133-0 . Pausanias, Description of Greece, Books I-II, (Loeb Classical Library) translated by W. H. S. Jones; Cambridge, Massachusetts: Harvard University Press; London, William Heinemann Ltd. (1918). ISBN 978-0-674-99104-0. .
Plutarch, Lives, Bernadotte Perrin (translator), Cambridge, MA. Harvard University Press. London. William Heinemann Ltd. (1914). ISBN 978-0-674-99053-1 . 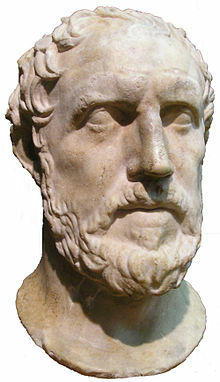 Thucydides, The Peloponnesian War. London, J. M. Dent; New York, E. P. Dutton (1910). .
Cochrane, Charles Norris, Thucydides and the Science of History, Oxford University Press (1929). Connor, W. Robert, Thucydides. Princeton: Princeton University Press (1984). ISBN 978-0-691-03569-7. Dewald, Carolyn. Thucydides' War Narrative: A Structural Study. Berkeley, CA: University of California Press, 2006 (hardcover, ISBN 978-0-520-24127-5). Forde, Steven, The ambition to rule : Alcibiades and the politics of imperialism in Thucydides. Ithaca : Cornell University Press (1989). ISBN 978-0-8014-2138-9. Hanson, Victor Davis, A War Like No Other: How the Athenians and Spartans Fought the Peloponnesian War. New York: Random House (2005). ISBN 978-1-4000-6095-5. Hornblower, Simon, A Commentary on Thucydides. 2 vols. Oxford: Clarendon (1991-1996). ISBN 978-0-19-815099-2 (vol. 1), ISBN 978-0-19-927625-7 (vol. 2). Hornblower, Simon, Thucydides. London: Duckworth (1987). ISBN 978-0-7156-2156-1. Kagan, Donald. (2003). The Peloponnesian War. New York: Viking Press. ISBN 978-0-670-03211-2. Luce, T.J., The Greek Historians. London: Routledge (1997). ISBN 978-0-415-10593-4. Momigliano, Arnaldo, The Classical Foundations of Modern Historiography. Sather Classical Lectures, 54 Berkeley: University of California Press (1990). Meyer, Eduard, Kleine Schriften (1910), (Zur Theorie und Methodik der Geschichte). Orwin, Clifford, The Humanity of Thucydides. Princeton: Princeton University Press (1994). ISBN 978-0-691-03449-2. Romilly, Jacqueline de, Thucydides and Athenian Imperialism. Oxford: Basil Blackwell (1963). ISBN 978-0-88143-072-1. Rood, Tim, Thucydides: Narrative and Explanation. Oxford: Oxford University Press (1998). ISBN 978-0-19-927585-4. Russett, Bruce. Grasping the Democratic Peace. Princeton University Press. 1993. ISBN 978-0-691-03346-4.
de Sainte Croix, The origins of the Peloponesian War (1972). London: Duckworth. 1972. Pp. xii, 444. Strassler, Robert B, ed. The Landmark Thucydides: A Comprehensive Guide to the Peloponnesian War. New York: Free Press (1996). ISBN 978-0-684-82815-2.